First, let me join the people of Dagbon, Ghanaians and well wishers to thank God for what we witnessing today, and pray that he continues to guard and proper the Dagbon kingdom even as he blesses the New Ya Naa and the people with many more years of abounding health, peace and prosperity. Contrary to what the Npp and its agents would rather have the public believe, successive governments initiatives contributed to this success story. Previous administrations worked hard to restore peace in the area within the context of the rule of law and due process. For the benefit of those who may have forgotten so soon, it was President Kufour who appointed the committee of eminent chiefs to quench the Dagbon fire and restore peace. Former President Jerry Rawlings claimed that there was official complicity in the matter of the demise of the Ya Na. He has never wavered in his position about the fate of the late Dagbon Overlord. President Rawlings and some security experts still insist that the crime be thoroughly investigated because of how the dastardly act was designed and executed. The alleged involvement of Major (rtd) Abubakar Suleiman, General Joshua Hamidu who was in charge of National Security, Vice President Aliu Mahama, Yakubu Alhassan who was the Interior Minister, was one critical issue former President Rawlings and many Ghanaians demanded should be investigated. The Adanis accused Mr Hamidu, Maj (rtd) Suleimana, Yakubu Alhassan of allegedly supplying arms and military assistance to the Abudus. Communication interruptions in the area as well as preventing the police force from moving in to save the King as he was under attack were other critical issues they based their stance on. Report that Major Suleimana allegedly led dozens of heavily armed Liberian mercenaries in the attack on the Yaa Naa is the other critical issue. Information that he was spotted fleeing the country to Burkina Faso in the company of the Liberian mercenaries was one of the critical issues Rawlings and others raised. Why the Dagbon crisis worsens any time the UP tradition gets hold of power was another issue. Thirty three innocent citizens were killed at the Gbawe Palace on 9th September 1969 when the murdered king was the regent. My prayer is that we put all these unfortunate incidents behind us a sustain the air of peace blowing across the corners of Dagbon. Historically Ghana has come a long way from multiethnic entity with political differences and background to coming together to form a nation state till the present structure of 10 regions. Ethnicity and intra-family, no doubt has contributed immensely to conflicts in Ghana because of long standing revulsion or resentments towards ethnic groups or gates from one’s own or fear of dominstion which can as well lead to ethnic groups or gates to resort to violence as means to protect and preserve existing group or gate. The people of Yendi and its environs need development, they need genuine peace to go about their businesses. We must all help sustain this remarkable move. When Mills administration took over from the Kufour administration in 2009, one of the major issues it tackled was the Dagbon issue. 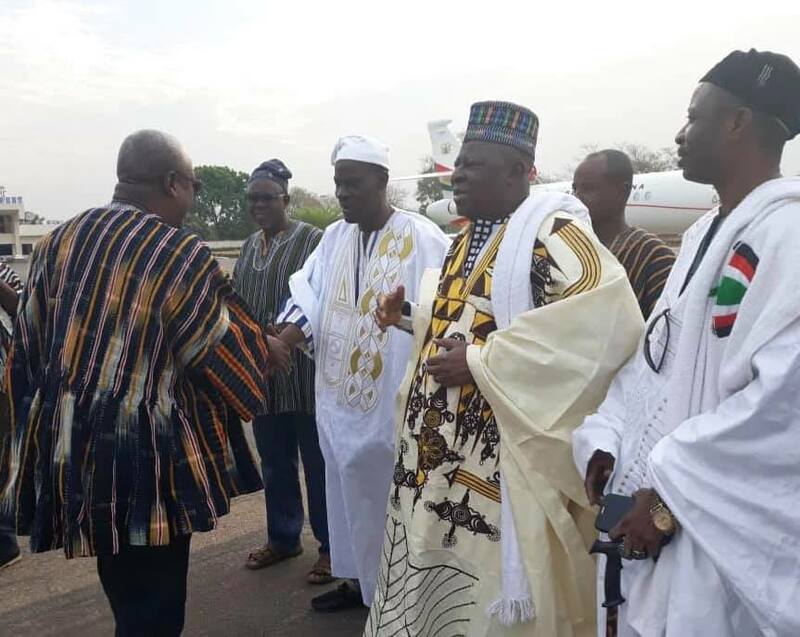 The Government asked the Committee of Eminent Chiefs mediating the Dagbon crisis to reconvene and continue with the healing process. The committee suspended its work because of the 2008 election. Then Vice President Mahama quickly informed Otumfuo of his government’s decision to continue with the healing and peace talk. The Mills administration allowed the committee chaired by Otumfuo to work without unnecessary interferences. The committee reviewed supreme court ruling on the Yendi skin Affair and other important issues connected to the Yendi issue. Per the time table of the road map, the funeral of Ya Na should have followed but that was not achieved because of the position the Abudus took. The Abudus insisted on having the funeral of Ya Na Mahamadu held in the Gbewaa Palace. The Mahama administration maintained peace in the area. President Manama promised the people that he would do everything possible under his power to help solve the protracted Dagbon crisis. He handed over a peaceful Dagbon Kingdom to his successor Nana Akufo Addo. Nana Akufo-Addo and the Eminent Chiefs achieved what we witnessing because of how Mills and Mahama handled the issue. Nana couldn’t have achieved this if the two administrations had acted unwisely like we saw under the first Npp administration.